It’s menthol flavour that just won’t stop. Evermint Menthol overwhelms you with an indescribable soothing sensation. 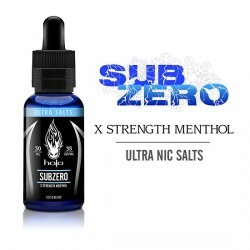 Use only with vaping pod systems. It’s menthol flavour that just won’t stop. 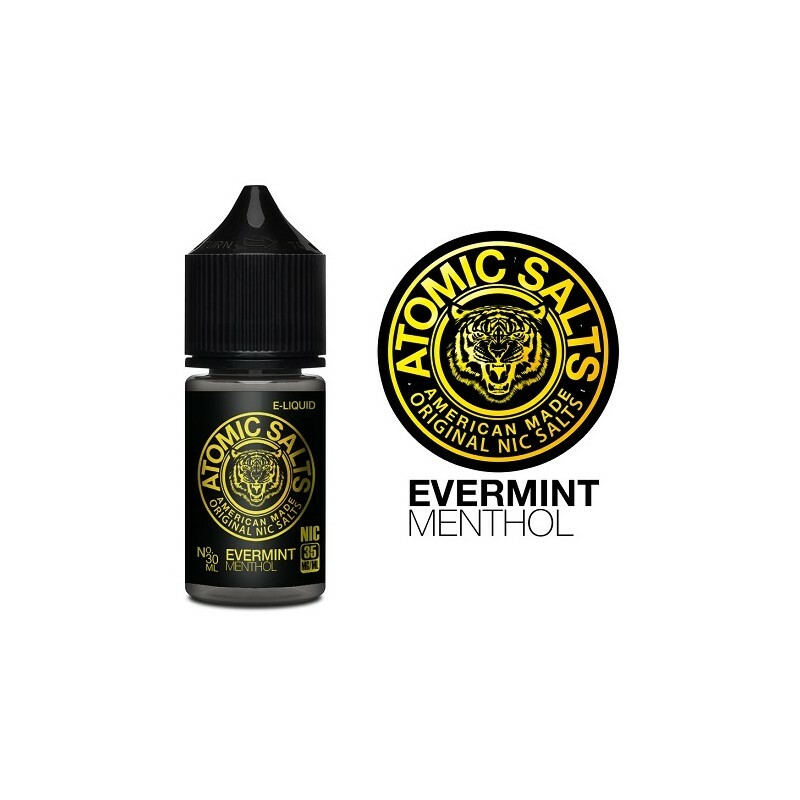 Evermint Menthol, another mind-blowing Atomic Salts flavour, overwhelms you with an indescribable soothing sensation. 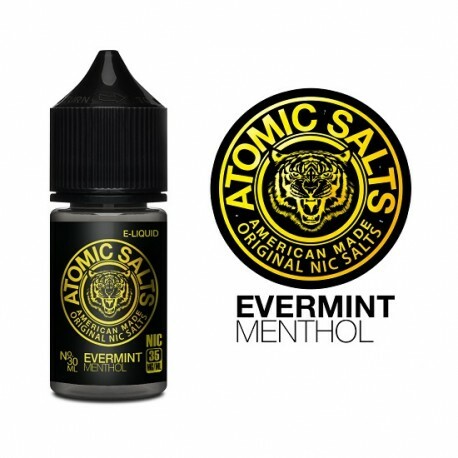 Steam Age Vape Shop ships Evermint Menthol by Atomic Salts (with nicotine salts) NZ & Australia-wide. Atomic Salts is a new brand of nicotine salts from Nicopure, the manufacturer of Halo & eVo e liquids. All bottles are pre-steeped and include tamper-evident seals, child-resistant caps, lot coding, and best-by dates. Established in 2009 Nicopure produces eliquids of outstanding quality. Nicopure labs formulates all e-Liquid using only current good manufacturing practices in an FDA registered facility. These practices provide for a system that assures proper design, monitoring, and control of manufacturing processes and facilities. Developing e-Liquid the right way not only offers Nicopure customers quality assurance, but will soon be a requirement as the FDA actively regulates the industry. Each ingredient in every batch of Atomic Salts is tested to USP (United States Pharmacopeia Convention) standards to ensure the purity and safety of the products. In addition, the nicotine concentration of every finished batch is verified by HPLC and NMR to ensure the safety of customers. All approved batch are issued a final Certificate of Analysis for cGMP release from the lab and assigned a unique Batch Code for tracking further down the supply chain. Nicopure labs uses the latest technologies in mixing, filling and labelling to ensure a streamlined production with the highest quality finished product. This juice is interesting and I quite like it. I'm not a menthol lover but I do like it when it's blended as this is. It's easy to vape, not too strong and smooth in the hit. I use it in a juul compatible and it works well. I've tried Madhatter juices and this to me is better. You won't go wrong if you like mint with taste.